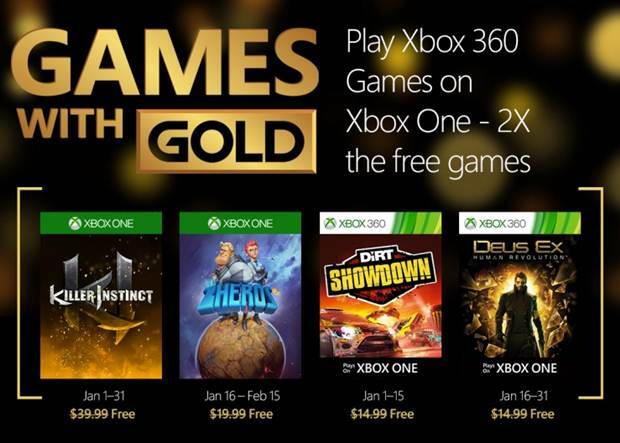 Xbox Live’s Games With Gold starts 2016 in style. Microsoft will be starting out the new year with a pretty good offering of Games with Gold games- some pretty big, good games will be on offer for people subscribed to Xbox Live Gold, and if you are an Xbox One owner, you should have no shortage of some impressive titles to play. 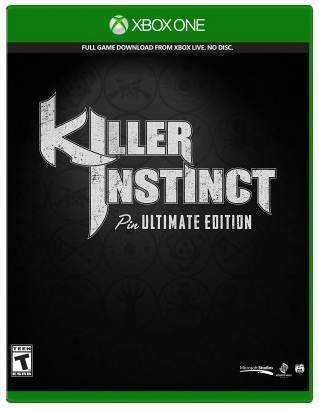 On the Xbox One front, the star of the month promises to be Killer Instinct- Killer Instinct Season 1 Ultra, the $40 priced package that includes all the characters and stages from the first season of the popular Xbox One exclusive fighting game, will be available to all Xbox One owners for free. The other game will be Zheroes. On the Xbox 360 front (games which will also be made available to Xbox One owners, since all Xbox 360 Games with Gold games are backwards compatible on the Xbox One), subscribers can get the excellent Deus Ex: Human Revolution to prepare themselves for the launch of Deus Ex: Mankind Divided later in the year, and DiRT Showdown, which should similarly get them pumped for the upcoming DiRT Rally. So yeah, that’s a good offering this month. Your move, Sony.